How will e-commerce influence the environment? For the past ten years, e-commerce has been booming. It again generated an increase of 17.3% in 2018 for a total turnover of 461.7 billion USD worldwide. But, is e-commerce good for the environment? What is its environmental impact? Can we reduce our carbon emission and how to do it? E-commerce, like any business, has advantages and disadvantages. But, it must first be remembered that e-commerce has totally changed the way we consume – no need to move because we are delivered at home! And this is one of the positive points of e-commerce: the parcel delivery man emits less CO2 during his delivery tour than letting all customers go to store to take what they want, this will lead to less emission, which means less pollution. In addition, the storage of products is done in a warehouse instead of a traditional shop. As a result, there is no need for product-friendly lighting or winter heating to keep customers warm. Thus it can achieve an energy-saving result. Finally, e-commerce generates less return of products than traditional commerce. Why? Because the process of returning the product is longer and tedious for the customer. As a result, there is less CO2 emissions generated for returning products. But, the customer can get rid of his useless product by offering it in second-hand sites. Thus the product will have a second life. These sites have a very good environmental impact because they promote recycling and limit the waste of objects. But, e-commerce does not only have advantages, it also harms the environment in two occasions: when customers is browsing the website to make his order and when the product is delivered. Yes, browsing a website is not without consequences for the planet… Indeed, the internet is composed of thousands of servers used to host sites (e-commerce or not) or to allow Internet users to navigate between different sites. And we must supply electricity to these servers. Their energy consumption is huge given their size and their need to be constantly cooled to avoid overheating. Parcel delivery is another major environmental problem, as there are more and more parcels to deliver to customers who are more and more demanding about their delivery time. Express deliveries in less than 24 hours have multiplied, during last year, to meet this demand. But they generate more pollution because the deliveryman usually moves for a single product. As a result, delivery routes are multiplied, fuel consumption increased, and greenhouse gases increased, too. The carbon emission of this purchase far exceeds that of a purchase in a traditional shop. 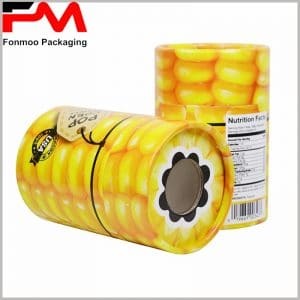 And you should not forget that packing the product also consumes materials and the package can be both a finished product and an origin of pollution to the environment. For example, some big e-commerce websites are famous for over-packing their products, in one way this is good to keep products intact on route, but on the other hand this means unnecessary waste and pollution to our planet. Group up your purchases at the same shop to avoid the package with a single product. Do not make an uncertain purchase in order to avoid making a return of product and thus to double its CO2 emission. Choose an eco-responsible computer server that proposes for example a cooling by natural method. And you ? What are you doing to reduce your carbon emission?